Hope springs eternal that Roden Crater, the extinct volcano in Arizona that James Turrell has turned into an evolving masterwork of light and Land Art since the 1970s, will one day be completed. Today (14 January) there were signs that fundraising could be turning a corner. Arizona State University announced a partnership with Turrell and the non-profit Skystone Foundation, which oversees Roden Crater, to support the completion of the art project northeast of Flagstaff, Arizona, and to make it available for viewing by the public. The goal is to raise at least $200m within the next two years for elements including a visitors center and infrastructure and to finish Roden Crater within five years, the university says. The Turrell Art Foundation meanwhile announced a $10m gift from the rapper and record producer Kanye West to support the completion of the desert site. The foundation quoted Michael Govan, director of the Los Angeles County Museum of Art and president of the Skystone Foundation, as saying that recent contributions to the project, including West's gift, amounted to nearly $40m. 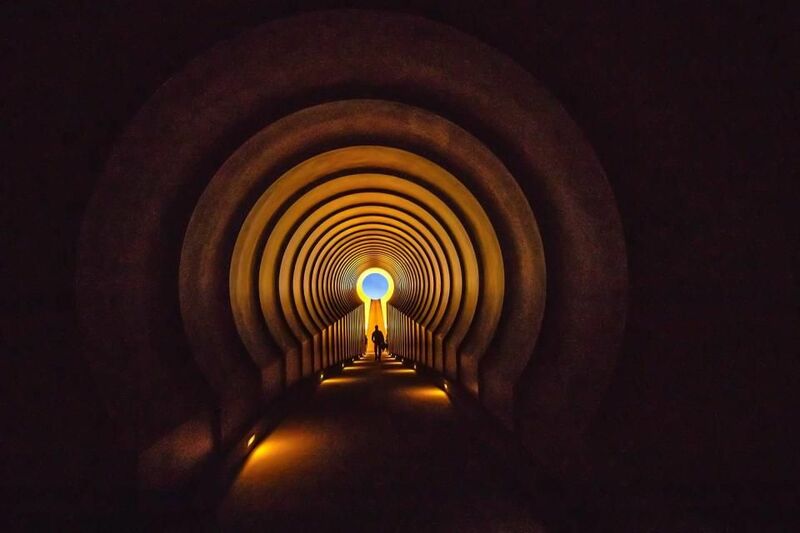 Since acquiring the two-mile-wide dormant volcano in 1977, Turrell has carved tunnels and viewing chambers into the site that funnel sunlight into its recesses during the daylight hours and offer vistas for viewing the planets and stars at night. After four decades, six spaces for the project have been completed, according to the project's official website; if the artist’s vision is completely realised, it adds, it will encompass 21 viewing spaces and six tunnels. The site is currently closed to the public, although a variety of art-world figures and others have made the pilgrimage with the artist’s permission over the years. The Wall Street Journal reported that West visited Roden Crater with Turrell on 11 December and returned a few days later with his associates to tweet a photo of the rapper at the site. As a partner with Skystone, Arizona State University plans to serve as a long-term steward for Roden Crater and to integrate it into its academic programmes, beginning with five classes that will visit the site this spring for interdisciplinary labs in such areas as light and imagination, volcanoes and art, indigenous culture and sky science. It says its partnership evolved after discussions between the artist, Arizona State University’s president, Michael Crow, and Govan. The partners envision a 12-month planning process, supported by a $1.8m grant, that will investigate the project’s needs and potential timeline for completion, the university says.